Building a deck on your home is an ideal way to expand your space to entertain, enjoy a relaxing time outdoors, or to simply spend time with the family. However, unless you have the correct deck lighting, you may find it is difficult to enjoy yourself outside once the sun goes down. 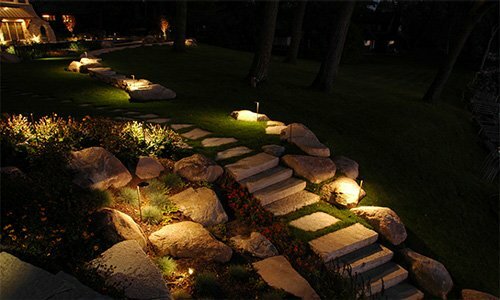 The good news is TouchStone Accent Lighting offers a range of deck lighting options. 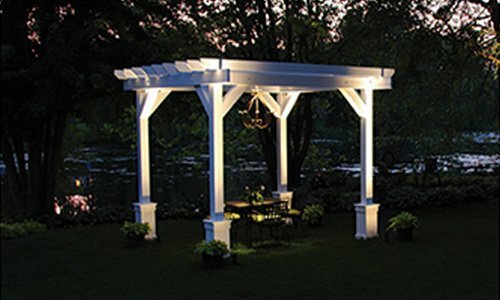 These range from bright lights for outdoor cooking spaces to soft, ambient lighting for relaxing, entertaining or just enjoying time outside. 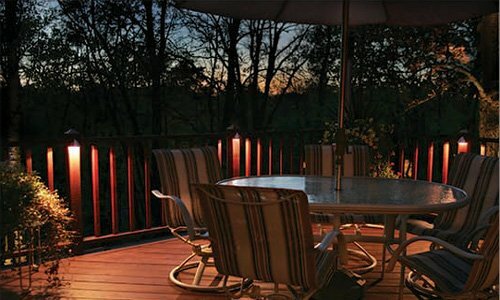 Ideally, most decks can benefit from both deck accent lighting, which is used to create the ambiance on the deck, and also direct types of lighting that can be used to prepare food, read a book, or anything else you may want to do. 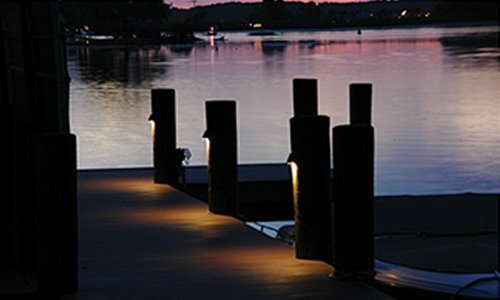 Deck accent lighting is highly effective at providing soft, gentle and more diffuse lighting that boosts visibility without any harsh lighting. Lights on the stairs and lights under the railing of the deck give a warm and welcoming look while also clearly identifying areas where additional visibility is required. When your deck uses a wall of your home, adding outdoor wall sconces is a terrific way to subtly add to the deck accent lighting. These strategically placed fixtures can be located close to tables and seating areas, inviting guests to have a seat and spend some time in conversation. Very soft lighting along deck railing is an ideal option in deck accent lighting to create a distinctive, relaxing mood. 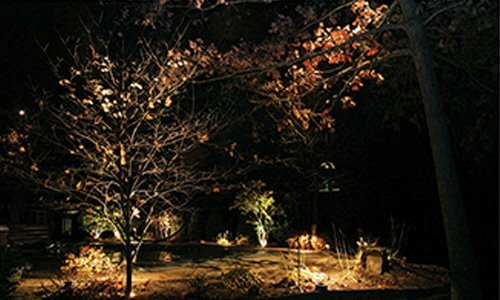 These lights can also be incorporated into posts, which provides small pools of light that are visible from on the deck as well as looking towards the deck from the yard. 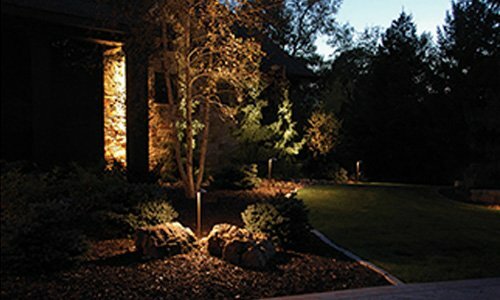 Let us help you with your deck lighting needs. 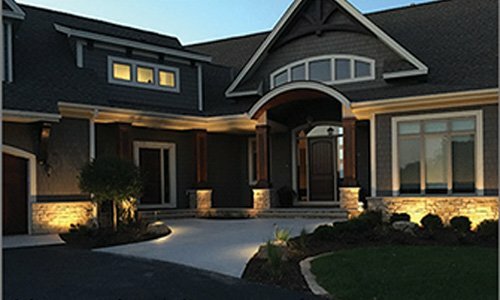 Get in touch with us at 888-475-2112, and we can discuss your lighting plans.